n. 1 a: Organically certified fiber derived from natural bast fibers (such as hemp and flax), which are responsibly treated with an “enzymatic bath” and then spun into soft, white fibers similar to organic cotton. b: Touted as the next affordable and sustainable stand-in for conventional cotton, with the added bonus of tensile strength for use in textile, industrial, energy, medical, and composite material applications. c: Named after the town of Craik, Saskatchewan, this eco-textile initiative is also supported by the National Research Council Canada. A joint partnership with Hanes is likely to make it a household name for apparel knit products globally. I'm confused. An" enzyme bath" sounds suspiciously like the retting stage in traditional linen preparation, which used natural enzymes and bacteria to soften the fibers so they can be removed from all of the lignin, pectin, etc holding them together as a plant. Do the enzymes actually dissolve the cellulose, and then is it reconstituted in the spinning process as a long filament (like rayon?) Do you have a sample I can look at under the polarized light microscope? Hi Abigail, as an eco-designer of a small company I am constantly faced with sourcing problems. 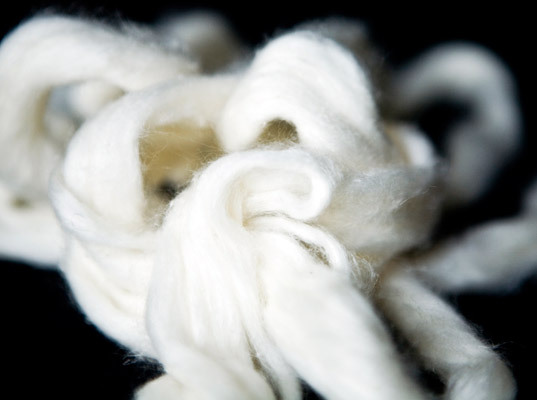 It is great to hear about all these fantastic fibres, such as Tencel, Lenpur CRAiLAR and S.Cafe, but sourcing them (especially in smaller quantities, ie. below 100 metres or for sampling) is nearly impossible. Would you be able to recommend me either an organisation or a website to turn to where I could get some help with this problem? Many thanks. Hi Abigail, As a denim weaver (Prosperity textile (HK) Ltd), may I have more information about CRAILAR. I 'm confused in emzymatic bath. Is it doing after fibre making from spinneret? what is performance properties similar to tencel or modal? Our mill is located in Guangdong province of China. Would you please advise which yarn suppliers can provide CRAILAR? Hi, I am new here but it is lovely to hear that magic word Tencel again. I was so depressed when it stopped being used here in Oz - at last I had found something that DIDN'T WEAR OUT. My mother presciently remarked that it would not stay on the market very long for that very reason. Where can we get it now??? ?Please please...I have a shirt I've had for nearly fifteen years.